So you want to make money online? Well the very first thing you should look to build is a cash producing website. The list is divided into direct and indirect methods, and examples and links are provided for each point. Enjoy! Google AdSense is the most popular option under this category, but there are also others. Basically you need to sign up with the network and paste some code snippets on your website. The network will then serve contextual ads (either text or images) relevant to your website, and you will earn a certain amount of money for every click. CPM advertising networks behave pretty much as PPC networks, except that you get paid according to the number of impressions (i.e., page views) that the ads displayed on your site will generate. CPM stands for Cost per Mille, and it refers to the cost for 1,000 impressions. Selling your own advertising space is one of the most lucrative monetization methods. First and foremost because it enables you to cut out the middleman commissions and to determine your own rates. The most popular banner formats on the web are the 728×90 leaderboard, the 120×600 skyscraper, the 300×250 rectangle and the 125×125 button. After Google declared that sites selling text links without the nofollow tag would be penalized, this monetization method became less popular. Many website owners are still using text links to monetize their sites, though, some using the nofollow tag and some not. Affiliates can send potential customers to the merchant using several tools, from banners to text links and product reviews. Affiliate marketing is a great way to build a residual income online, but you have to partner or join a program that is legit and also has people running it that know what they are doing. 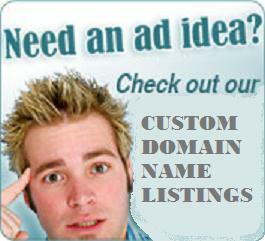 Buying domains names for $8 and selling them for $100, or $200 can turn into a huge business. Starting off with a few virtual pieces of ‘real estate’ and flipping them, then reinvesting into big and more valuable names can produce some great revenue. Selling your website could be your last resource, but it has the potential to generate a big sum of money in a short period of time. If you design a great site and begin to build traffic someone might offer you a substantial amount of money for getting it going. Probably one of the greatest income opportunities are programs based on Multi Level Marketing and Residual payment systems. These programs and payment systems generate you revenue not only for your efforts, but those efforts brough into the program by you. And those that are residual programs pay you for the life time of the person that paid for the service or product. Cash Producing Websites will review, analyze and provide others the abiliaty to comment on websites and online programs that produce cash and can help others build their own income.